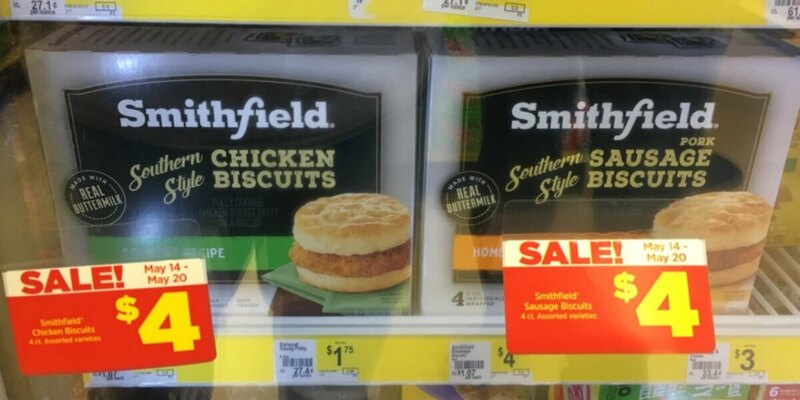 Smithfield Chicken or Sausage Biscuits Just $2 at Dollar General! Head to your local Dollar General this week where you can grab a great deal on breakfast biscuits! Through 5/20, Smithfield Chicken or Sausage Biscuits are on sale for $4.00! We have this $2/1 Smithfield Frozen Breakfast item or Fresh Breakfast Sausage Product coupon from the 5/14 Red Plum insert that we can use with this sale, making these just $2 after coupon! That’s only $0.50 per sandwich!